Latest Homes’ Bill Smith and Angi Mariani certainly took on an exciting project when they bought the lease to the Joogleberry Playhouse on Manchester Street recently. Health & safety regulations and licensing exams surely just get in the way of running a good cabaret bar as Bill and Angi would now probably agree. 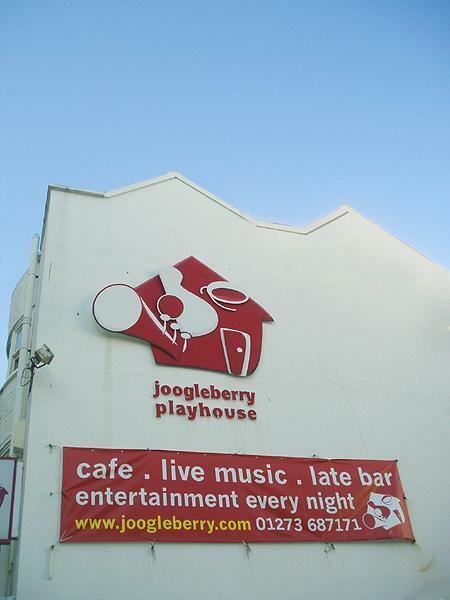 Many know the Joogleberry as the original Komedia though it is now a well-established venue in its own right. Much of Manchester Street was built in a similar style to the rest of the roads off St. James’s Street. However, Nos.14-16, a wide single storey structure with a basement, is something quite different which goes some way to explaining its Grade II Listed status. This building, combined with No. 17, a neighbouring three storey building with a basement, forms Kemp Town’s hippest cafe, restaurant and bar. Nos. 14-16 Manchester Street is still known by some as the Kentfield Billiard Rooms after its owner, Edwin Jonathan Kentfield, a famous billiards player. It is my understanding that the Billiard Rooms replaced three houses during the first half of the 19th century that were similar to No. 17. The low building has a symmetrical facade with flat-arched tripartite windows either side of a round-arched entrance. Other details include Tuscan pilasters, ornamental laurel wreaths and a parapet hiding the roof. In fact, each of the two original buildings has an interesting roof – the Billiard Rooms’ has a large skylight; No. 17′s has a double pitch and, therefore, a potentially problematic drainage gulley above the top floor. Down below, each has an extensive basement extending well under the pavement. After its time as the Kentfield Billiard Rooms, the building has been all sorts of things such as a boarding house, the St. James’s Club, a Church Army labour home, the Longhurst & Williams Garage and the Southdown Motor Services club. It became the Komedia in 1994; a theatre and cabaret bar in which Graham Norton, Johnny Vegas and Alistair McGowan all performed. 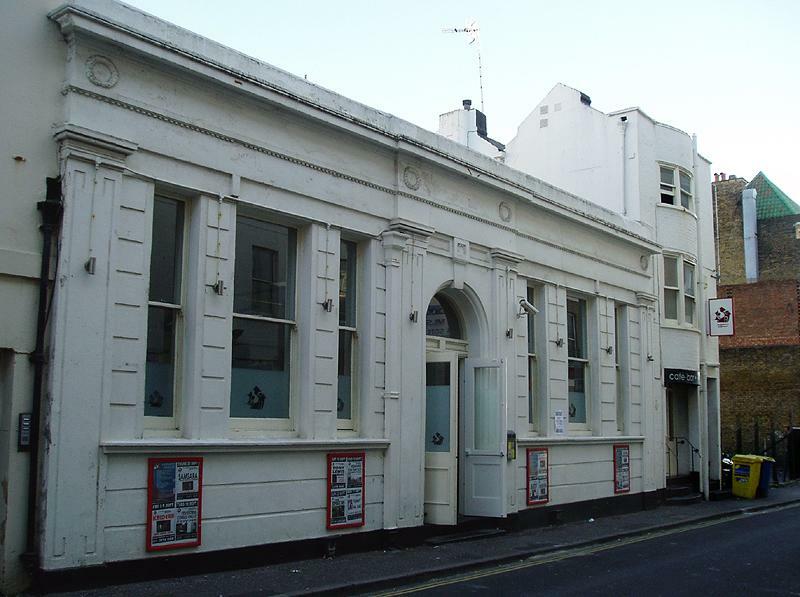 In 1998, the Komedia relocated to a former Tesco in Gardner Street. Without saying too much about Bill and Angi’s plans, they will be taking steps to draw up some of the basement’s energy onto the currently quieter ground floor. Now that I know a little about the history of the Joogleberry Playhouse, there’s still one thing that I would like to know. What on earth is a Joogleberry?